The Towada Hachimantai National Park, located in the northeastern part of the Japanese archipelago, spans the mountainous area between Aomori Prefecture, Akita Prefecture and Iwate Prefecture. It has natural landscapes such as valleys, lakes and streams. 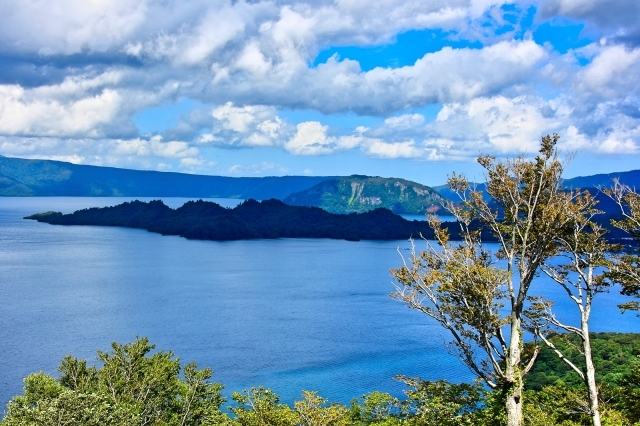 The National Park is divided into the Towada Hachikata area in the north and the Hachimantai area in the south. The rich natural beauty of the valley stream, the wildlife that inhabits the park, the hot spring resort, etc., are scattered in different areas. JR Aomori Station is the starting point for the Towada area of Towada. It takes about 3 hours and 10 minutes to get to Shin-Aomori Station by Tokyo Shinkansen. From Sapporo (New Chitose Airport) or Tokyo, Nagoya or Osaka, you can choose to fly to Aomori Airport. Then transfer to the bus to JR Aomori Station. JR Morioka Station is the starting point for the Hachimantai area. It takes about 2 hours and 20 minutes to get to the Shinkansen from Tokyo. From Sapporo (New Chitose Airport) or Tokyo, Nagoya or Fukuoka, you can choose to fly to Hanamaki Airport and then transfer to the bus. JR Morioka Station.